The Cosmic Wildcard - Beyond Imagination! Do you feel like something really big is on the horizon but you cannot put your finger on what it is? What if there was a 'Cosmic Wildcard' that no one can truly imagine? The Photon Belt is a belt or ring of photons is going to envelop the Earth, causing a cataclysm and/or initiating a spiritual transition, with the time period leading up to "The Shift" referred to as "The Quickening." The theory is based on an immense belt of photons orbiting around the Pleiades. According to some beliefs, Earth will pass through this belt of photons, resulting either in humanity's elevation to a higher plane of existence. Authors Virginia Essene (born 1928) and Sheldon Nidle write that the Photon Belt represents a temporary window for spiritual transition during which time humans can reach a higher level of existence, which they term the "galactic" level. Samael Aun Weor, who adopted the idea in the late 1970s, refers to the Photon Belt as "Alcyone's rings" (or "the rings of Alcyone"). "Alcyone is the principal sun of the Pleiades and in its orbit gravitate seven suns, our sun being the seventh which circles Alcyone." According to Weor, Alcyone has rings made of "radiation" caused by the "splitting of the electron." "it in some way relates to [the distinction between] the inferior manas (lower mind or lower self) and the superior manas (higher mind or Higher Self)." 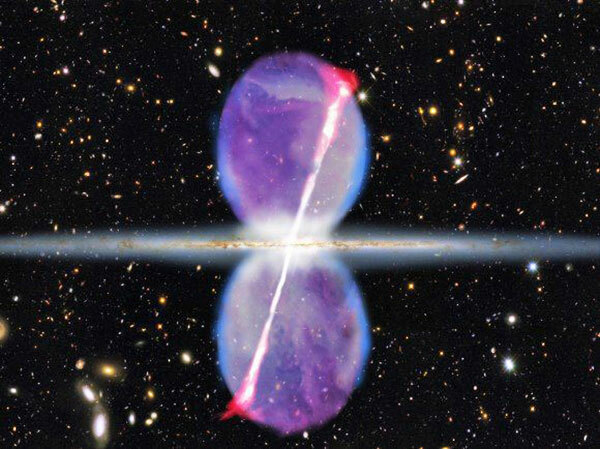 "the electrons in Alcyone's rings release a type of unknown energy". According to Paul LaViolette, there has been galactic superwaves that emanate from our galactic core which occur every 13,000 - 26,000 years or so. This would fall on the approximate timetable of the precession of the equinoxes, which is a 26,000 year cycle. Galactic core explosions actually occur about every 13,000 - 26,000 years for major outbursts and more frequently for lesser events. The Earth's heartbeat is known as the Schumann Resonance, which has been recorded at approximately 7.83 cycles per second for presumably thousands of years. In recent years, the Schumann Resonance has been rising and was recently recorded as high as 8.50. Under this premise, a magnetic pole reversal may affect the way the hemispheres in our brain interact. Nothing happens to our brains. The hemispheres of our brains instantly interact with one another, opening up synapses to higher metaphysical abilities. Cosmic rays from coronal mass ejections may possibly mutate our DNA into the next realm of spontaneous evolution. Cosmic rays from coronal mass ejections may possibly mutate our DNA into the next realm of spontaneous evolution. David Sereda has been working diligently in this area of science. According to Sereda, since 2006, scientists have been noticing a difference in the decay rates in nuclear particles, which had been consistently reliable in previous years. What does this mean? It isn't typical to see such a drastic change in these decay rates. Scientists are seeing a change of 1/10th of 1% in these particles, which was previously unheard of and is unexplainable at this moment. When a particle speeds up, it means it's radiating more energy. This includes the energy and particles within our own bodies. Studies on DNA have indicated that even very weak changes in the energy field can cause profound changes in our DNA. There is an energy field at the edge of the Milky Way Galaxy that's described as a ribbon. "This is a shocking new result for us and one that is not entirely understood," said David McComas, the lead scientist on a NASA mission called IBEX. This "ribbon" is a long band of high-energy particle emissions that could feasibly alter our DNA. 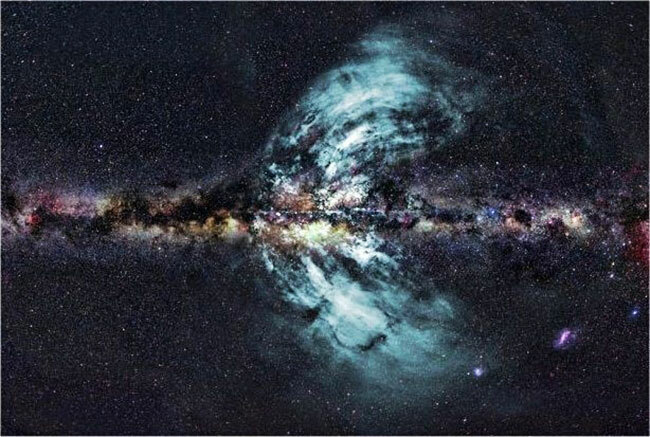 Is it possible that these changes are related to our location to the center of the Milky Way Galaxy as we near the precession of the equinoxes? Do the changes in our Sun have any relevance to the changes in our solar system? How would you react if, "out of the blue", a mass UFO landing occurred? What if this was your galactic family wanting to bring you back "home"? If you had to make a decision right now, without being able to consult friends and family, would you leave or would you stay with Mother Earth? Souls are said to "harvest" and proceed to the next level once they are properly "polarized". The true unknown wildcard may come in the form of something completely unanticipated and could happen in the blink of an eye. Most people within this genre innately feel that whatever this event may be, it will be positive. Many of us have a sense of impending urgency compiled with a desire to "go home". Whether home is going back to the organic Earth or to your galactic planet of origin, the feeling remains. We all feel like we are on the verge of something magnanimous, yet it is difficult to pinpoint exactly what that might be. Regardless of what happens (or doesn't happen), ALWAYS use your own discernment. Be aware that as long as we are still within this matrix, we will remain pawns in a much larger game. As events unfold, try to think logically about what possible motives may exist for whatever choice you decide, as well as how your decision may affect those you love.